I've decided to combine my local start-ups /entrepreneurial blog with my current lifestyle blog. I have always been interested in the ideas that come from them and hearing from their experience, makes me realize its indeed what you decide to make out of life that creates your future. Its your choice and action. And most importantly, I hope my sharing of the following will inspire many locals to do the same. To give them courage to spearhead their idea. My articles will range from getting from sources online, my friends, my alma mater and also some upfront interviews that I do when I hold events. 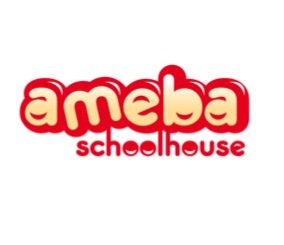 What sets Ameba School house apart from other preschool education provider? TXH: The approach that we are adopting is very similar to my SMU experience - It is mainly project driven. SMU has given us the opportunity to give back to the society. I contributed to this in my previous work places and I want to bring this spirit into Ameba Schoolhouse. Charity events will be incorporated into the school’s calendar. We look forward to having parents work with us on these projects. 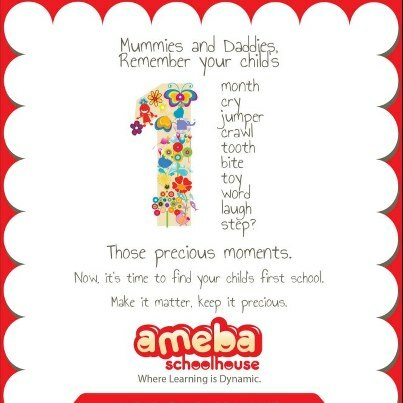 In Ameba Schoolhouse, we try our best to go green in our operations and encourage families to do the same. Over time, the intention is to encourage parents’ involvement by contributing recycled items that we need for the classroom. On the food and beverage front, we are unlike many schools which serve mainly porridge and noodle soup. At Ameba, we aim to serve a variety of delicious and nutritious food. What is the Ameba’s philosophy? TXH: We believe that children should have control over what they want to learn, how they want to learn and how they want to express themselves. There is no right or wrong answers at Ameba Schoolhouse. There can be multiple viewpoints and each is right in its own way. At the end of the day, we hope that whatever we are doing can earn us the respect of all who are part of Ameba. Why choose to adapt the Reggio Emilia approach? TXH: I was first introduced to Reggio Emilia by our curriculum consultant. 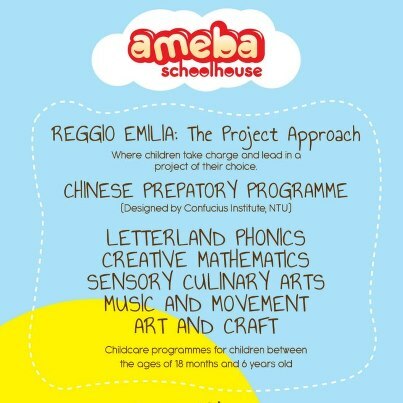 What I envisioned for Ameba is similar to what the educators in Reggio Emilia are doing. Essentially, it is because their curriculum is mainly on project work. During my undergraduate days, I enjoyed my projects and till today, I can still remember the things we did. I believe in the philosophy of teaching children how to fish and I think project work is the answer to that. I hope to see children grow to be independent in their learning and creative in their presentations. There are three teachers in a Reggio Emilia classroom; the parents come first, followed by the classroom teachers, then the environment. Many parents today think that it is the job of teachers to educate their children. This is the biggest misconception they have. Parents are the first teachers and they have to realise the importance of their role in the upbringing of their children. Teachers are facilitators in a Reggio Emilia classroom, just like professors in a university. Did they tell us that we need to call Company ABC to get XYZ information to complete our project? No. Instead, professors provided guidance to enable students to complete our tasks. Lastly, the environment element is missing in most preschools in Singapore. We are spending too much time indoors. Although a conducive indoor environment can be created to enable students to learn effectively, learning in an outdoor is important too. What are some of the challenges faced in the pre-school education industry? TXH: Lots! Firstly, starting up Ameba required that all the necessary approvals and permits be obtained. It is a child-related business and the authorities want to ensure that it is as safe as possible. As such, an operator needs to obtain many types of approval and the interior of the school needs to adhere to guidelines. We had to speak with so many government departments over the last six months! The challenge also involves hiring people with dedication and passion. There are many teachers who prefer to be given lesson plans whereby a step-by-step guide is laid out. As a new school, the team needed to be willing to lay the foundation and go the extra mile. Academic qualification does not equal to competence. Finding a suitable place to set up a childcare centre is not easy. I spent close to six months scouting locations before deciding on this place. How does the school deal with ‘kiasu’ parents?TXH: Communication. We cannot blame parents from being ‘kiasu’. Many of us are very busy with our daily work. We may not have time to be with our children nor do we have the professional knowledge in ensuring that they meet their learning milestones. If parents do not know what their children are capable of, they will rather provide more than less. I believe that with proper communication, we will be able to allow parents to understand us better and thus, have more trust in us. We maintain regular communication with parents through different channels. What plans does Ameba have for the next three years?TXH: There are people interested in investing in the business and in time, I hope to be able to open more centres in Singapore and in the region.